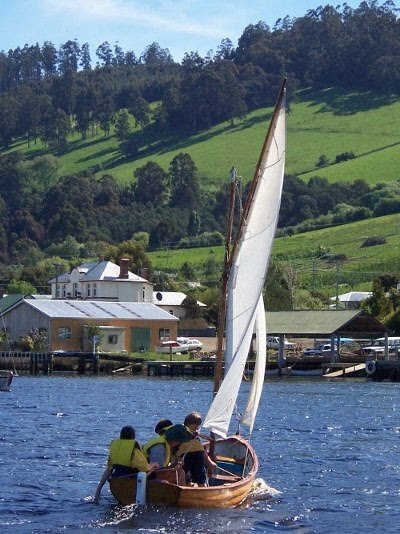 The Living Boat Trust (LBT) is an incorporated non-profit association based in Franklin on the banks of the Huon River in southern Tasmania. We aim to maintain traditional boat building, repairing, rowing and sailing skills, and to be a vital part of our community. We celebrate the history and beauty of this area and strive for a sustainable way of life for all concerned. Find out about us by visiting our website: www.lbt.org.au .